Exercise equipment, namely, treadmills, elliptical trainers, and exercise bikes. 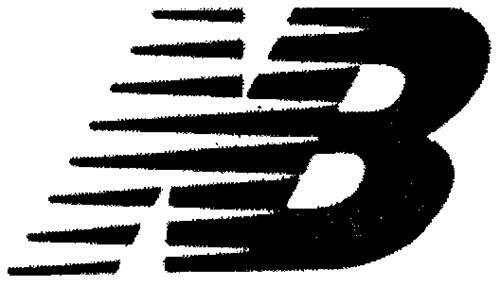 On Thursday, July 31, 2003, a canadian trademark registration was filed for the above pictured logo by New Balance Athletics, Inc. 100 Guest Street, Boston, MA 02135, UNITED STATES . The Canadian IP office has given the trademark application number of 1186088. The current status of this trademark filing is Registration published. The correspondent listed for is RICHES, MCKENZIE & HERBERT LLP of SUITE 1800, 2 BLOOR STREET EAST, TORONTO, ONTARIO, CANADA M4W3J5 The trademark is filed in the description of Exercise equipment, namely, treadmills, elliptical trainers, and exercise bikes. .
(1) - Exercise equipment, namely, treadmills, elliptical trainers, and exercise bikes.